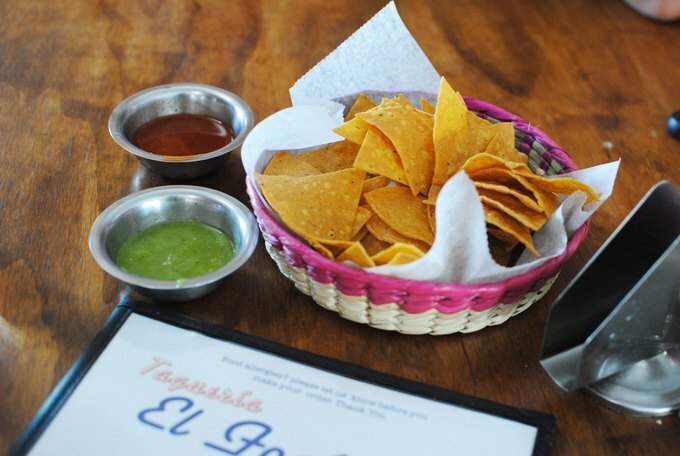 From their salsa to their authentic Mexican street food tacos, Taquería El Fogón's generous portions will leave you full and happy without hurting your wallet. On the corner of Cook and Bogart Street, alongside Tutu’s, Beacon’s Closet and, yes, Roberta's, is an unassuming taco spot that will rock your world. Taquería El Fogón 2 is the second restaurant location opened by power couple Filiberto and Margarita and let us tell you, they take their tacos very seriously. 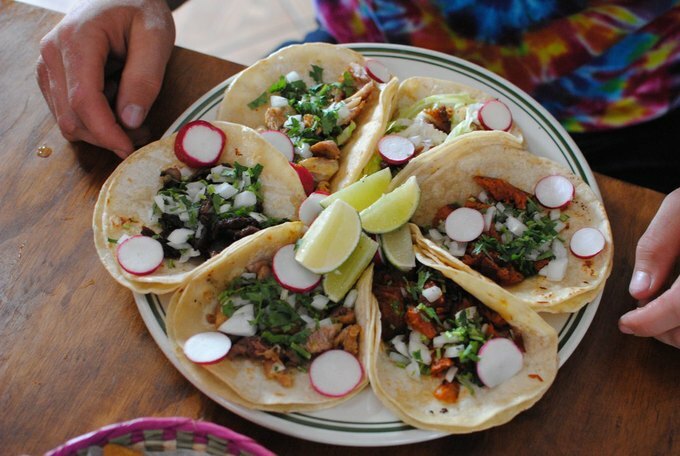 From their salsas to their authentic Mexican street food tacos, everything is made from scratch daily and their generous portions will leave you full and happy without hurting your wallet. 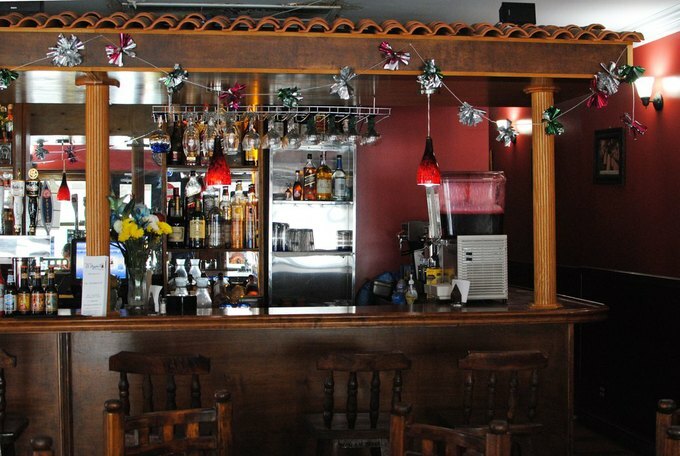 Although the restaurant holds around nine tables and a full bar, the space itself feels very intimate. From the clay-colored walls to the wooden seating, warmth is the word that comes to mind, matching the space’s given name fogón. The decorations and framed photos speak of a world from the past, like you’re visiting your grandmother’s house, with the TV quietly humming in the background as she’s preparing the greatest meal ever only she is capable of creating. 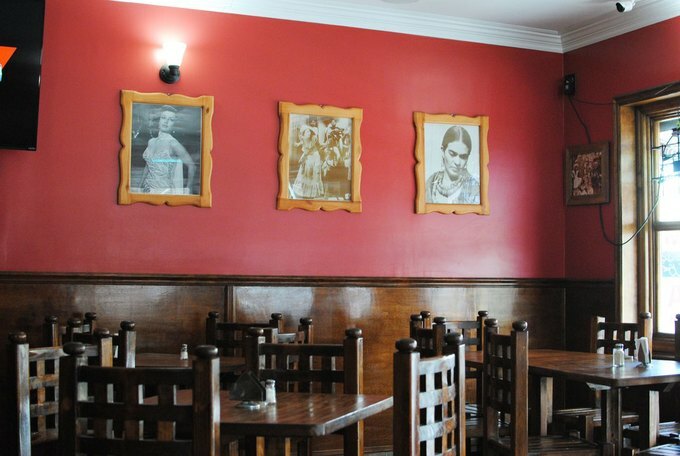 Taquería El Fogón’s menu offers an incredible variety of traditional Mexican cuisine, all family recipes from Filiberto and Margarita’s native state of Tlaxcala. Some highlights include Mexican antojitos (literal translation - “little cravings”), chilaquiles, guisados and their signature dish since opening in 2005 - El Burrito Mojado. They are also very mindful of dietary restrictions. They were able to accommodate ‘no dairy’ for me and have plenty of vegetarian-friendly items! A few major bonuses: Taquería El Fogón serves breakfast ALL DAY. Popular items include the huevos rancheros and breakfast burrito for only $7 each. Free delivery is an additional perk Taquería El Fogón offers, and as it appeared from the delivery guy hustling hard that particular day, people seem to take full advantage of it. Now for the tacos. For $2.50 each, the menu describes them as “Classic Mexico City street food with double soft corn tortilla topped with onion and cilantro. The way it should be!” And yes, after seeing the plate my boyfriend received - full of chorizo, carne asada, carnitas, pollo and longaniza tacos - I can’t imagine them “being” any other way. I received the fish taco special and two veggie tacos. For a dollar more apiece, the plate was even more generous with its portions and loaded with rice and beans. The double-wrapped corn tortillas were definitely necessary to support the weight of the tacos. My order was slightly altered as per my request, but normally the special’s toppings include lettuce, pico de gallo and queso crema with plenty of radishes and limes on the side. The fish was lightly fried and the pieces melted in my mouth because they were that soft. I also ordered horchata (rice milk, cinnamon and cane sugar) and it felt so decadent to have the sweetness of my drink contrast with my savory tacos and tortilla chips in-between bites. 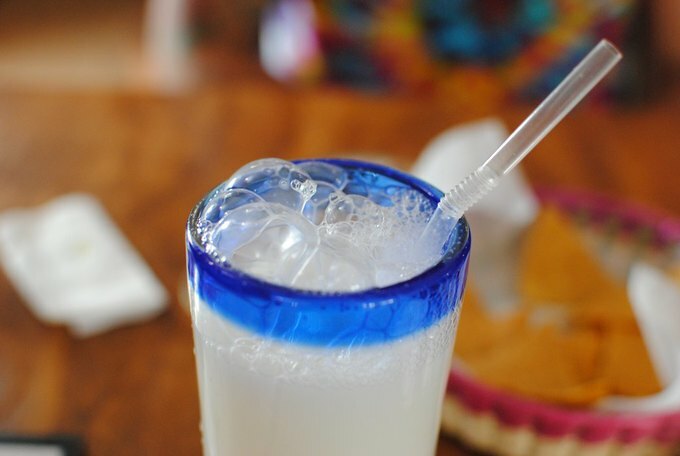 For eight tacos and a tall glass of horchata, our total bill was under $30. And it’s safe to say, we couldn’t move after. 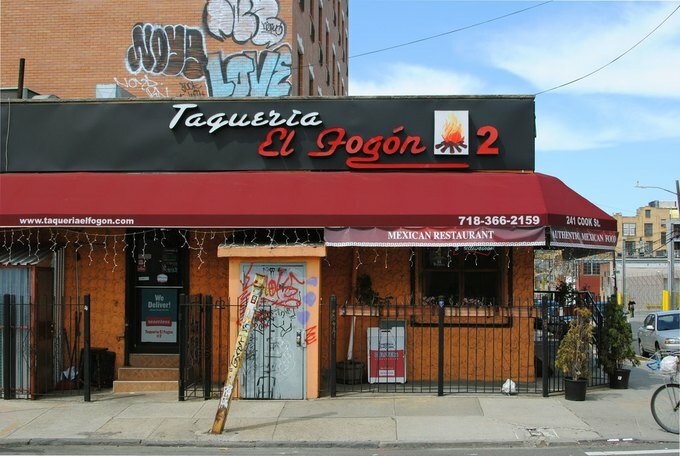 Come hungry and leave happy because Taquería El Fogón is the ultimate taco heaven. 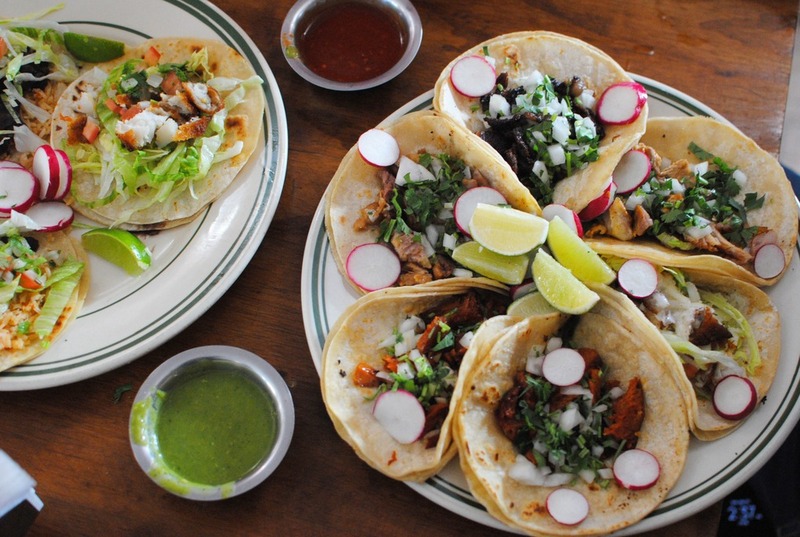 Mexican restaurant offering antojitos, tacos and dishes in Bushwick, Brooklyn since 2005. 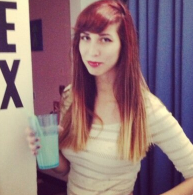 Follow Taquería El Fogón on Facebook and Twitter.